Fresh Food themes has been purchased 6, rating: 4/5 based on 4 reviews. Fresh Food is based on CSS 3 and HTML 5 technology. These are the most advanced technologies that bring the best experience to customers. In addition, Fresh Food is suitable for fruit and vegetable stores and is available on a variety of devices. It also comes with a lot of powerful and necessary modules for each Shopify store. Another great point, Fresh Food has a flexible admin panel that helps shop owners build stores in minutes. 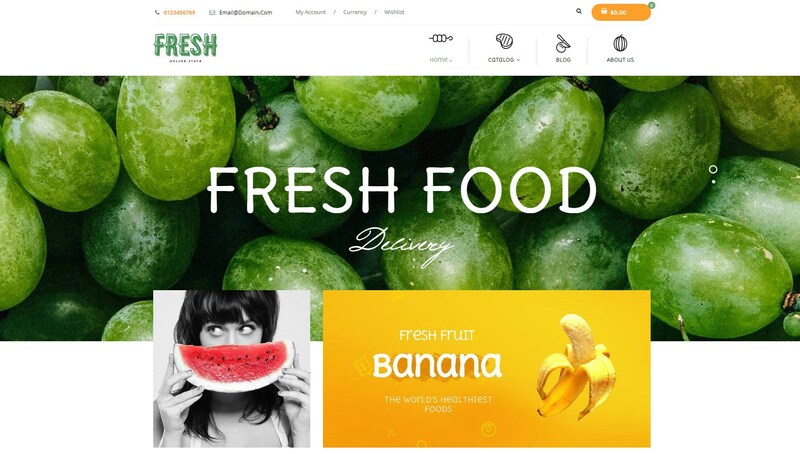 If you are an intelligent shop owner, Fresh Food Shopify theme is a choice that can’t be missed.